From Thursday, 29th November through Tuesday, 4th December 2018, senior medical officials and doctors from the internationally recognised African Caribbean Cancer Consortium - Fox Chase Cancer Centre located in Pennsylvania, USA, The University of the West Indies, School of Clinical Medicine and Research-The Bahamas, Clark Atlanta University in Georgia, USA and the Cancer Centre Eastern Caribbean located in Antigua; will lead the first ever Cancer Prevention Community Outreach on Anguilla. Doctors Christie Daniels, and Glenn Jones, all senior physicians of the UWI - The Bahamas and the Cancer Centre Eastern Caribbean and cancer research doctors Camille Ragin and Valerie Odero-Marah will arrive on island on Thursday 29th November to spearhead key activities during this national community outreach. This Outreach will form part of the Anguilla Community Action Network (ACAN) twelfth anniversary as a nationally and regionally recognised HIV patient and family support organisation. Mr. Henry Hazel, Chief Operating Officer of the Cancer Centre Eastern Caribbean, Dr Shanbhag Nandan, Clinical Oncologist and Nurse Melissa Telemaque as well as Mrs. Gisel Joshua of the Members of the Breast Friends Women in Touch' support group of Antigua and Barbuda will also be on island to support this Outreach. 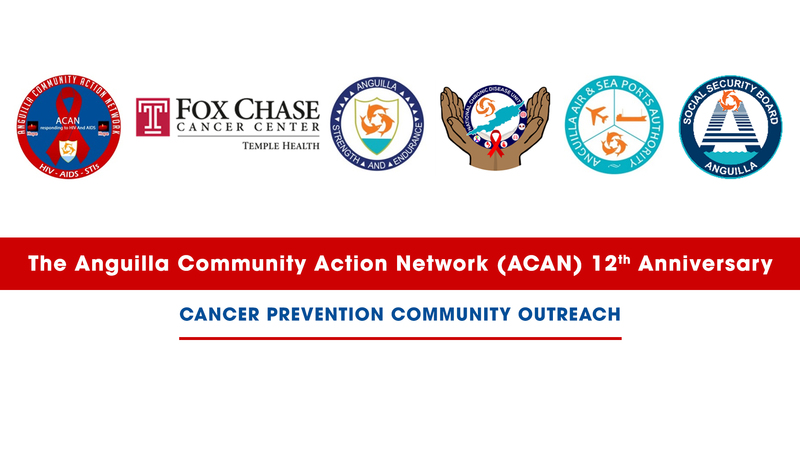 In recognising the alarming increase of cancer cases in Anguilla and across the region, ACAN has taken the bold step to expand its reach in the Anguillian community, by also focusing on Cancer - creating awareness on early detection and treatment. According to John C. Lake, Founder and CEO of ACAN, 'Chronic Diseases are all linked and sadly affects us all, ACAN is positioned to do more in creating awareness about other diseases while supporting all national efforts'. Mr. Lake who has been living with HIV for the past 24 years, is also a cancer survivor. Public interaction and discussions through the Government's Community Desk programme on Friday 30th November from 5:30 PM at the Kingdom Vision Apostolic Church (located in the Farrington). This discussion will be led by Dr. Camille Ragin, Lead Associate Professor in the Cancer Prevention and Control Program at Fox Chase Cancer Centre and Associate Professor at the College of Public Health and the School of Medicine at Temple University. The focus of this Community Desk will be on the cancer disease and prevention primarily in Black populations. Free Prostate and Breast Cancer Screening and Rapid HIV testing for the general public is scheduled for World AIDS Day, Saturday 1st December 2018 from 10:00 AM at the Atlantic Star Medical Centre. A Community Desk featuring testimonies of cancer survivors from the 'Breast Friends Women in Touch' support group of Antigua and Barbuda and a public discussion on cancer treatment methods, directed by Dr. Glenn Jones of the Cancer Centre Eastern Caribbean of Antigua and Barbuda will be held on Sunday 2nd December from 5:30 PM at the Kingdom Citizen Church (in The Valley-Upstairs English Rose). Other events include national church service on Sunday December 2nd from 10:00 AM at the Christian Fellowship Church for the visiting team and the general public; "Kick out AIDS" training programme for the ACAN Youth Arm; closed meetings with senior medical officials and Ministry of Health on Anguilla, and live radio interviews. ACAN encourages the general public to take advantage of these opportunities; know your status, be informed. 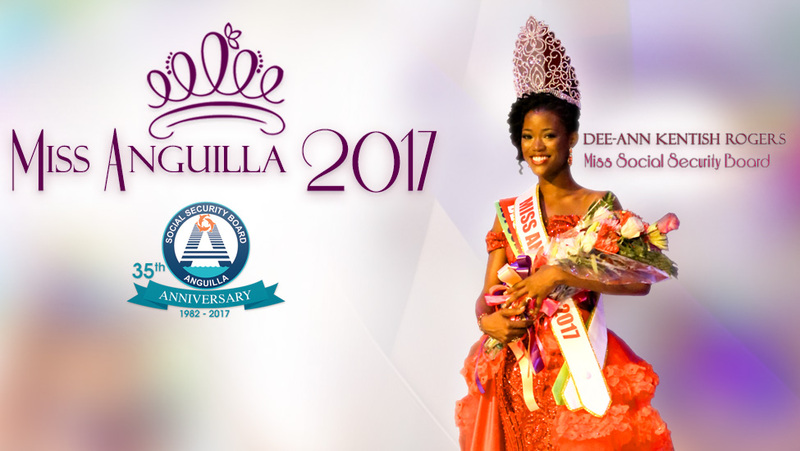 The programme of activities is being supported by the generous sponsorship of the following: The Government of Anguilla, the Governor's Office, the Ministry of Health and Social Development, National Chronic Disease Unit, the Anguilla Air and Seaports Authority, the Health Authority of Anguilla, Anguilla Social Security Board, the Anguilla Tourist Board, the Department of Sports, La Vue Hotel, D3 Enterprises, NCBA, Atlantic Star Medical Centre, Straw Hat Restaurant, Kaiya's Kitchen, MASA, Caribbean National Insurance, Nagico, E's Oven, the Anguilla Electricity Company, Anguilla Civil Service Association and Alliance Insurance Services Limited.